What is title insurance – and do you really need it? 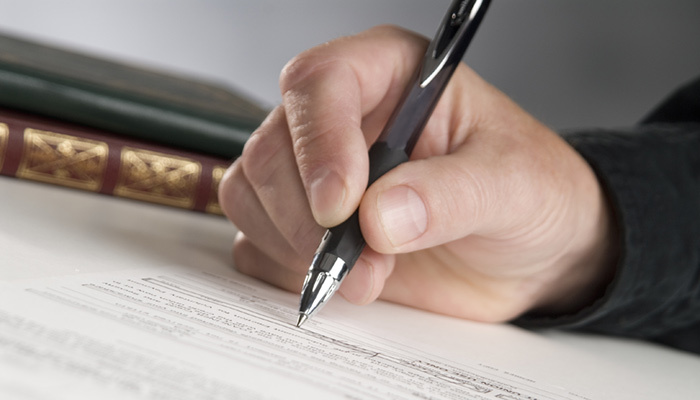 Title, and title insurance, are key parts of any real estate transaction. Unfortunately, for many first time buyers or sellers, they’re often some of the most misunderstood aspects of the process. For many, title is just a word that gets thrown around by real estate attorneys and mortgage lenders, and title insurance is just one more fee tacked on as you rocket toward closing. As a result, some buyers and sellers are quick to ask if it’s actually necessary, or if it’s a level of protection that can be skipped. Put simply, title insurance is coverage that offers protection in the event of financial loss caused by complications, unforeseen issues, or disputes about the ownership of a piece of property. Liens, unexpected claims to ownership, and other wrinkles can crop up during the transfer of property, and also years down the line. Title insurance offers peace of mind and protection from these complications, for buyers, sellers, and lending companies alike. For homebuyers, title insurance is generally a two-parter. That is, there are two types of title insurance policies at play: a lender’s policy and a homeowner’s (or buyer’s) policy. The lender’s, or loan, policy protects the mortgage lender, generally until the buyer’s loan is paid off (or, possibly, refinanced). This acts as a financial safeguard, an assurance that their investment in the property is secure and protected. Generally speaking, lender’s title insurance is mandatory as a condition of getting a loan, and is paid for by the buyer. The other type of title insurance is the owner’s policy. At the time of transfer, this helps give buyers peace of mind that their new home will really be theirs, with no strings attached. Subsequently, this policy helps insure and protect the buyer’s ownership rights to the property, for as long as they own it. This is the type of title insurance that is generally considered to be more optional, as it is not required by law; in most standard real estate transactions in Illinois, the selling party pays for title insurance as part of their closing costs, as a gesture of good faith. If, during a title search and examination, researchers indicate that the sellers have “clear title” on a property – meaning that they appear to have clear ownership, free from claims or title defects, and that the property can be transferred without issue – why pay for title insurance? It’s a logical question to ask! Why buy insurance when a search is indicating that there are no apparent, outstanding title issues to be concerned about? But, at the same time, it’s important to remember that title searches, while exhaustive, are not foolproof. Undiscovered issues could bubble up to the surface months, weeks, or even years after a seller and buyer complete their transaction. Unexpected heirs turn up out of the woodwork. Old documents or deeds are revealed to be forged or inaccurate. Bottom line? A lot could happen – and, without a buyer’s policy, homeowners may be forced to shoulder any number of steep legal costs, and could well lose their home. Ultimately, however, it’s important to remember that every real estate transaction is unique, and there is no “one-size-fits-all” guiding principle. Ultimately, you may wish to speak to an attorney, a broker, or another qualified real estate professional before making your decision. Want to talk over any further questions you may have about issues relating to title or title insurance? The attorneys and staff of Gunderson Law Firm are here to be your resource. The Gunderson Law Firm possesses unparalleled expertise and insight in the field of real estate law, reinforced by years of experience and long-term connections throughout Chicago’s real estate, finance, and insurance industries. In fact, our attorneys are also title insurance agents for several of the top title insurance companies in the world. Whether you are a family looking to purchase or build a home, a commercial developer looking to leave your mark on Chicagoland, or a corporation ready to invest in a new property, our team can bring our unique legal expertise and financial insight to bear for your legal needs, including title insurance, title examinations, and disputes. Have any more questions? Want to twist the ear of some of Chicago’s most experienced real estate attorneys? Drop us a line today to learn more, or get in touch to schedule your free initial consultation.